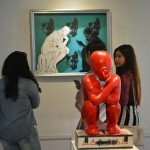 Social commentary is not something new in visual art. 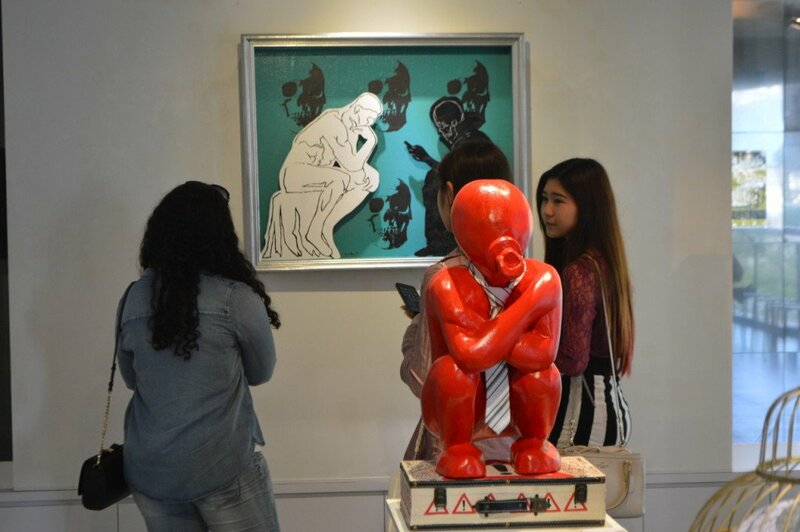 In fact, throughout the history of art, elements of commentary can be found in many artworks, hints of the social conditions of prevailing times. 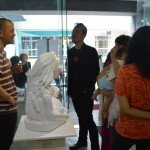 In a sense, visual art serves as a form of historical record, augmenting text as the medium of storytelling and transmission. 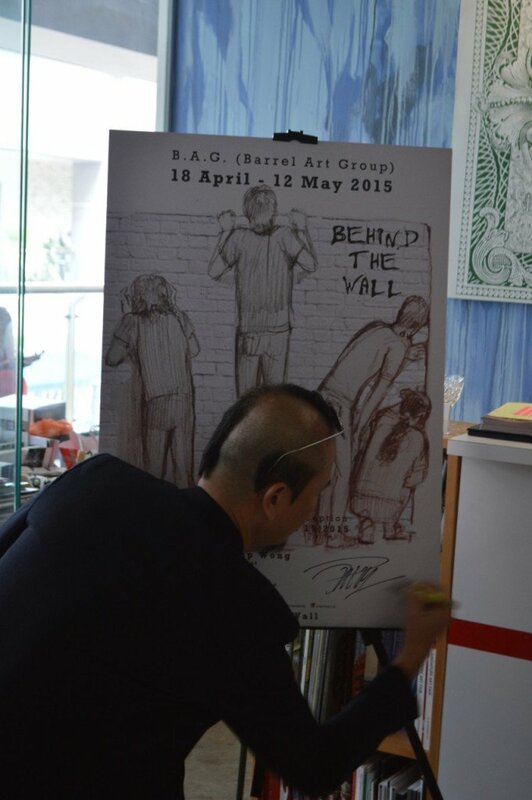 With “Behind The Wall”, B.A.G. 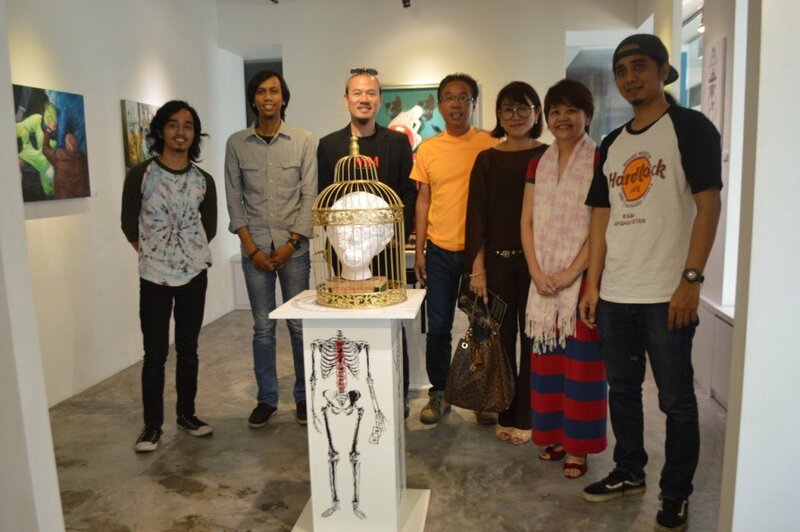 (Barrel Art Group), a collective of four young artists, essentially continues with this long-standing tradition of using visual art as a form of social commentary and criticism. 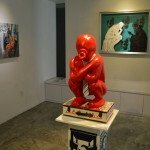 What the artists have chosen to highlight varies, but collectively their works provide us with a glimpse of how they view contemporary Malaysia. 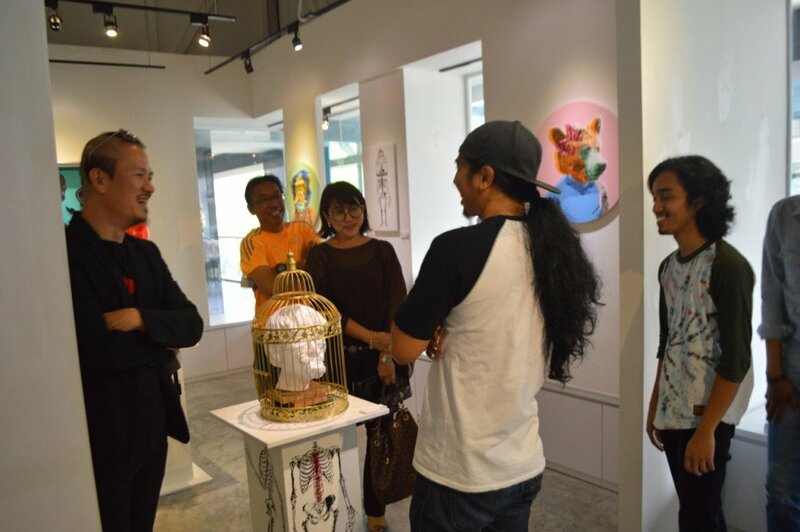 The four artists preferred form of presentation, too, varies from one individual to the next. 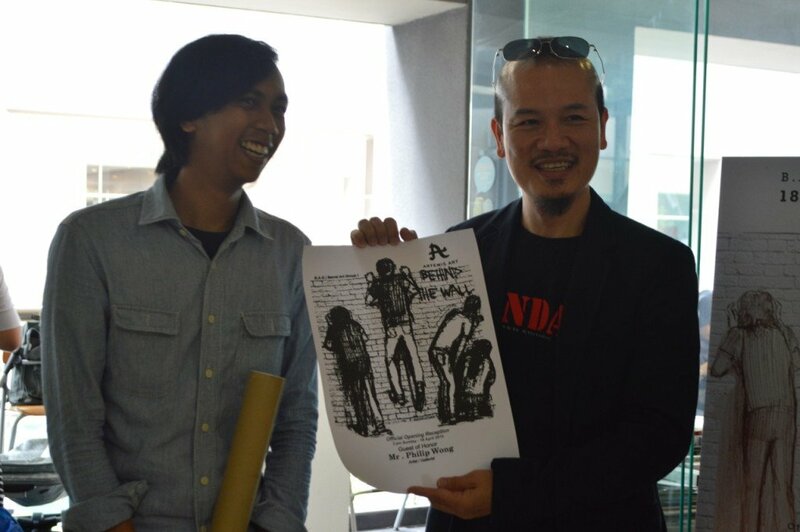 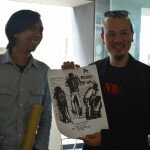 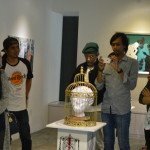 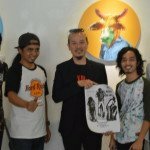 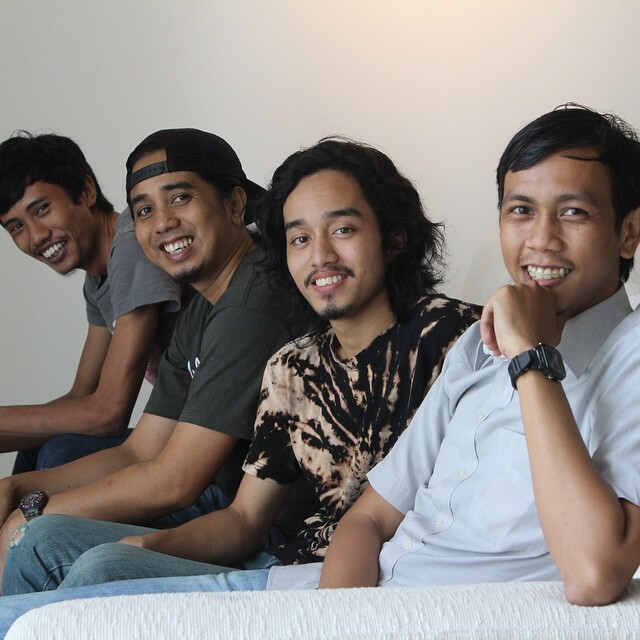 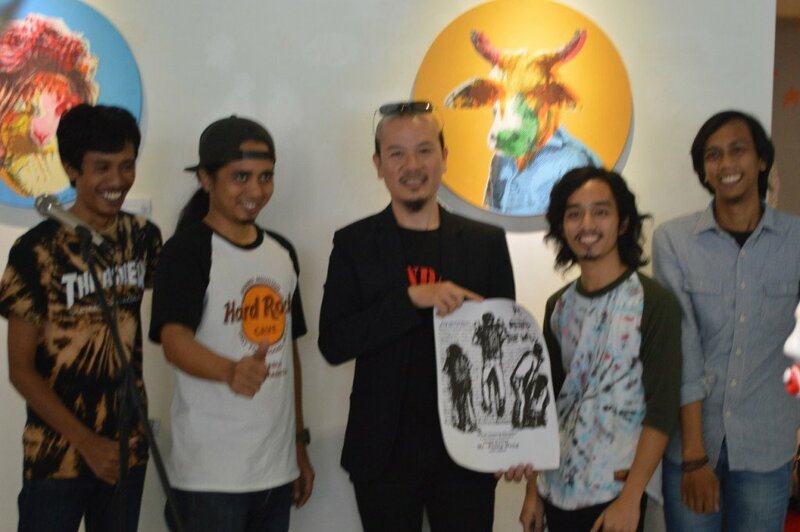 Both Hady Aris and Hazul Bakar have chosen painting as their preferred form of art creation, while the other two, Aizat Amir and Jijie (Mohd Khairul Faizli) are sculptors. 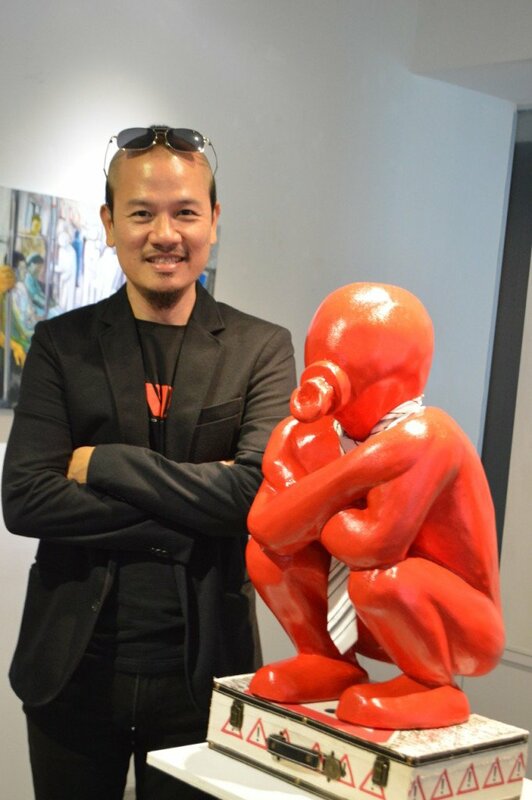 In all, a total of 14 artworks will be exhibited, consisting of paintings, free-standing sculptures, and wall-hanging hybrid works. 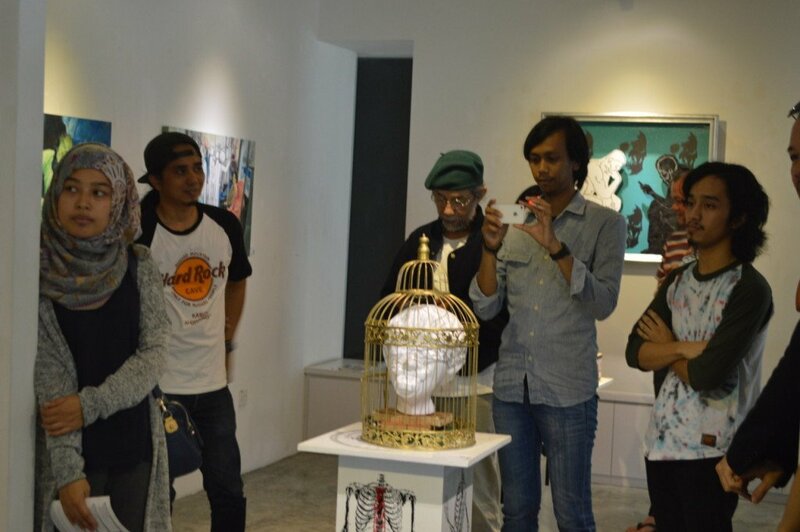 The exhibition commenced on Saturday, April 18, 2015 and will continue until May 12, 2015. 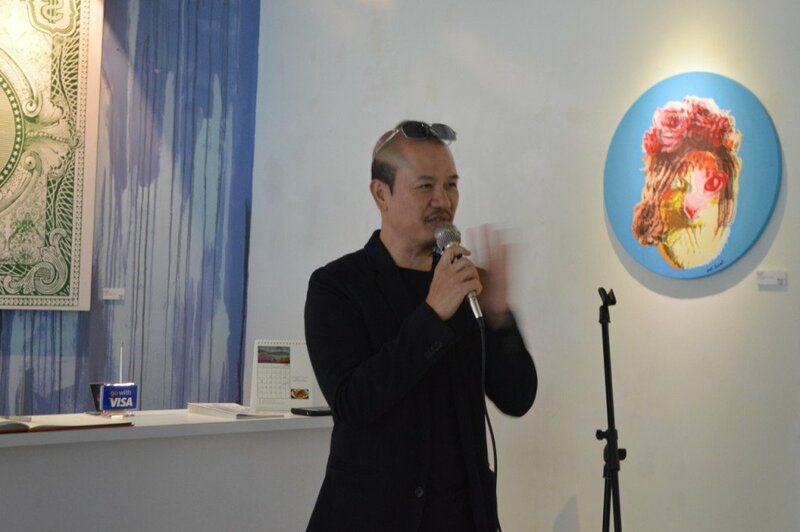 An opening reception was held at 3pm on Sunday, April 19, 2015, and our guest of honor was Malaysian artist and gallerist Mr. Philip Wong. 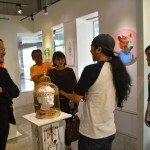 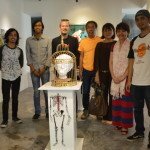 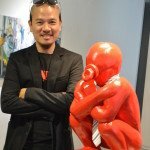 Similar to Artemis Art, Philip, has been active in promoting young Malaysian artists locally and abroad, and currently runs Artseni Gallery, in the Mont Kiara area in Kuala Lumpur. 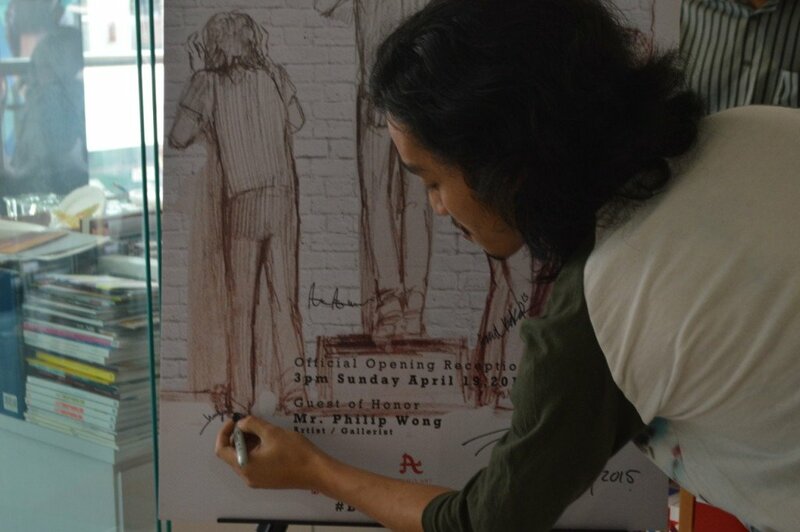 Photos from the opening reception may be viewed by clicking on the Opening Reception tab above. 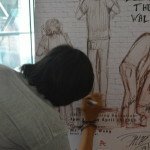 Congratulations to the four artists making up the Barrel Art Group (B.A.G. 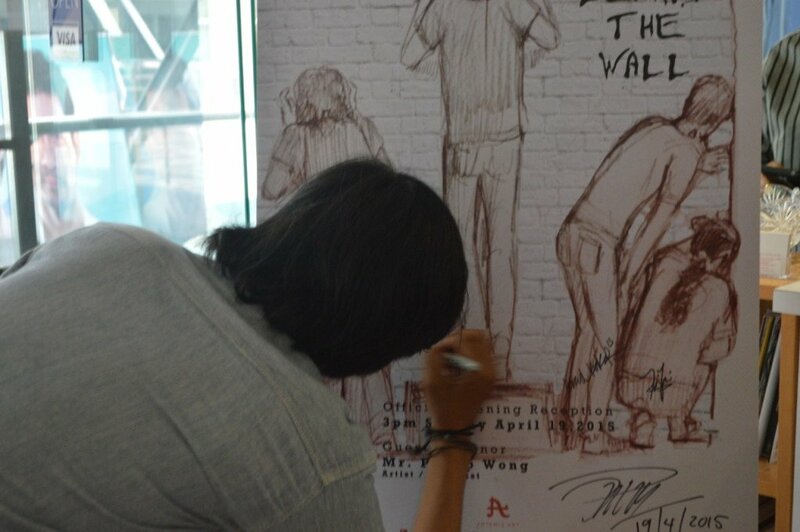 ), and we hope you continue with your exploration of ideas, turning them into critical views of the world around you. 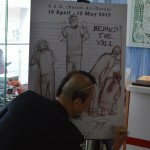 The official opening reception for Behind The Wall was held on Sunday, April 19 2015. 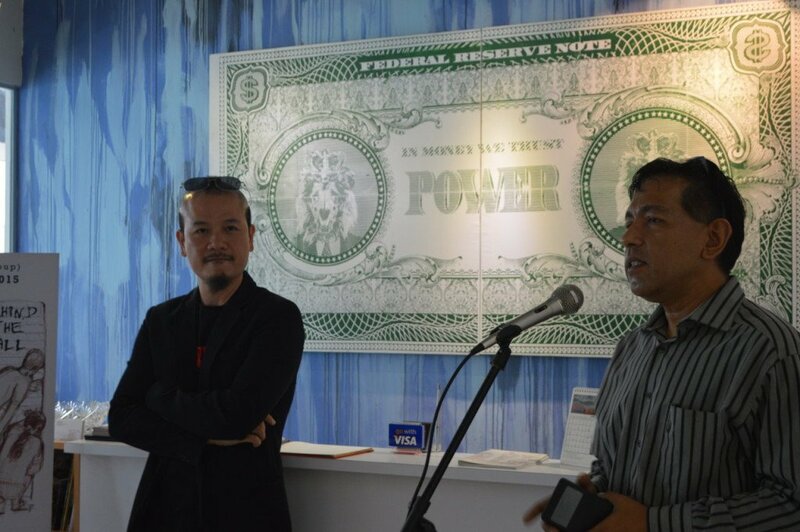 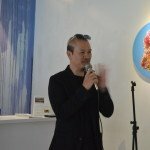 Our guest of honor for the event was Malaysian artist and gallerist Mr. Philip Wong. 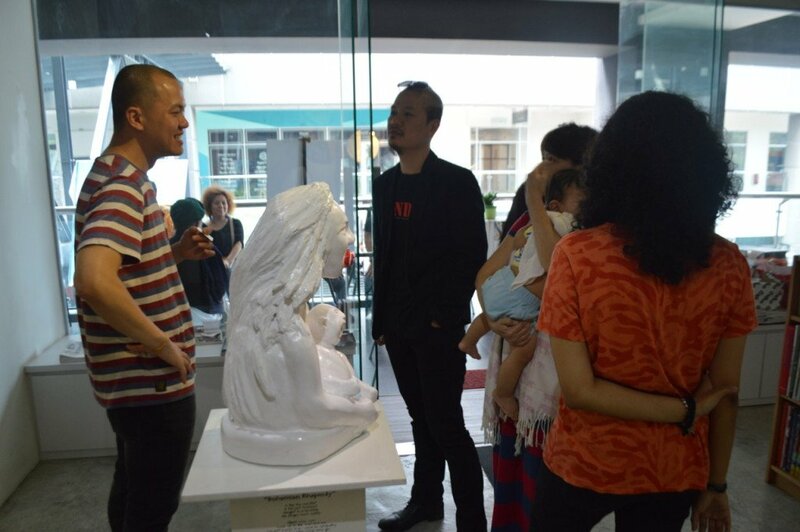 The online version of the exhibition catalog has been reformatted to facilitate reading, and is not presented in its original fold-out format. 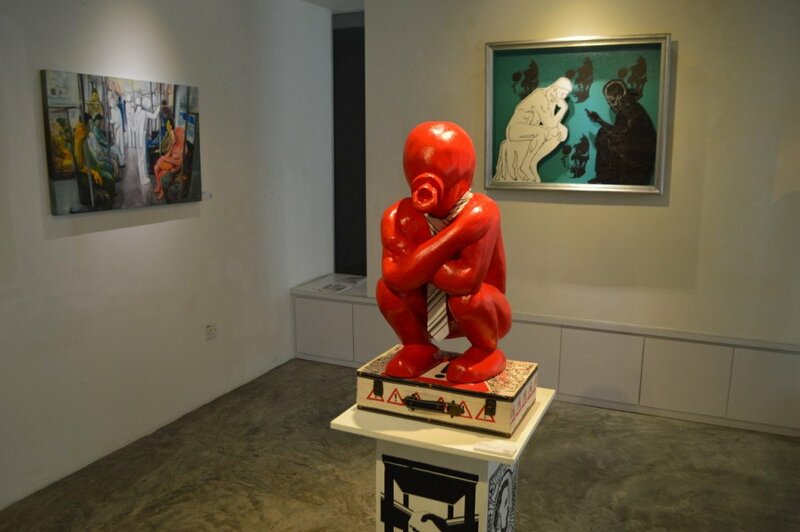 Printed copies of the catalog are available at the gallery.